Josh is Managing Director at Eaton Partners. He focuses on the distribution of the firm’s private equity, real estate and real assets offerings. He has 13 years of diversified management and investment experience. 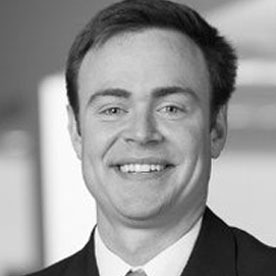 Prior to joining Eaton Partners, he was a Vice President at Kayne Anderson, where he focused on direct mezzanine investing. Previously, he worked as an Associate at Versa Capital where he completed control investments in corporate distressed situations. Josh also has experience working in investment banking with Merrill Lynch and strategy consulting with Booz Allen Hamilton. Josh graduated from Yale University with a BA in Political Science, he completed a Fulbright Scholarship in South Korea, and he earned his MBA from Wharton in finance and accounting.